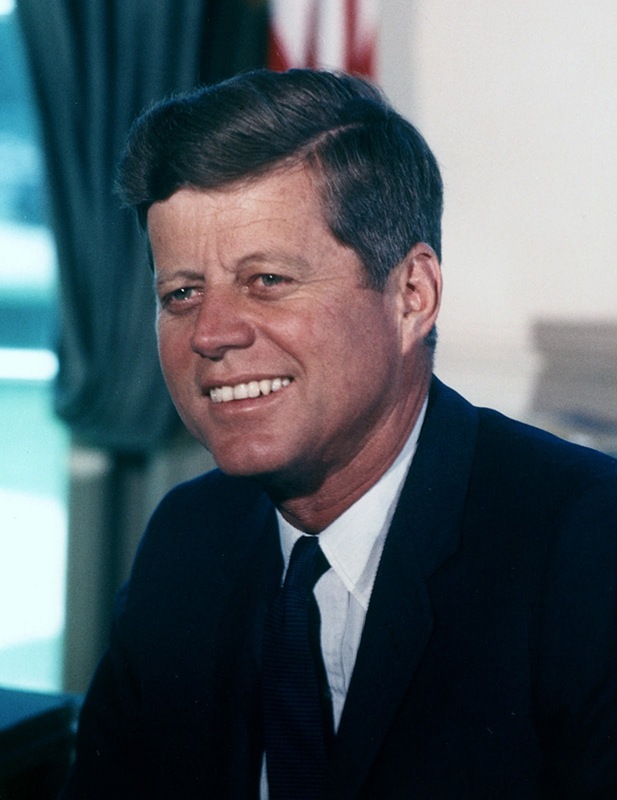 It’s Bostonian John F. Kennedy’s 100th birthday today. Kennedy largely remains a hero on both sides of the aisle; for his moderate liberalism, for his passion for civil rights of minorities, for his tough yet cautious stance against the Soviet Union, for his calls to public service, and most importantly, for the unflagging optimism and positive vision for the future of America which he embodied. More than any other presidency in the last forty years, and in stark contrast to now, his tenure inspired Americans to believe that they were unified, and that their best days lay ahead of them. There have been few times in the history of this country when that optimism has been more sorely needed. JFK was known for many things, but one of the enduring hallmarks of his legacy has been the words in his speeches. Among all presidents he was one of the most eloquent, and after him only Barack Obama came close to displaying the same fluency of language. There are many speeches of JFKs that are worth reading and remembering, but one that truly stands out is a speech on June 10, 1963 in which he made an impassioned plea for peace. The speech, delivered at American University in Washington D.C., was carefully crafted, copies were shown to only a few trusted advisors for comment, and Kennedy's indispensable speechwriter Ted Sorensen worked on it day and night to meet the president's schedule. In his book "To Move the World: JFK's Quest for Peace”, the economist Jeffrey Sachs considers this to be Kennedy's most important speech, and I tend to agree. "So let us not be blind to our differences, but let us also direct attention to our common interests and the means by which those differences can be resolved. And if we cannot end now our differences, at least we can help make the world safe for diversity. For in the final analysis, our most basic common link is that we all inhabit this small planet. We all breathe the same air. We all cherish our children's futures. And we are all mortal." In a time of deep societal division, this call to finding common ground and building on our common values rather than our differences cannot be overemphasized. Kennedy was also saying these words through hard practical experience, against the background of the Cuban Missile Crisis in October 1962 that had brought the world to the edge of nuclear war. Recently declassified documents now indicate that the Soviets had more than 150 nuclear weapons in Cuba, and there were many close calls which could have sent the world over the precipice into thermonuclear destruction. For instance a little known submarine officer Vasili Arkhipov refused to launch his submarine's nuclear torpedo even as American planes were dropping dummy depth charges around the submarine. When the crisis was averted everyone thought that it was because of rational men's rational actions, but Kennedy knew better; he and his advisors understood how ultimately, helped as they were by their stubborn refusal to give in to military hardliners' insistence that Cuba should be bombed, it was dumb luck that saved humanity. Kennedy was thus well aware in 1963 of how quickly and unpredictably war in general and nuclear war in particular can spiral out of everyone's hands; two years before, in another well-known speech in front of the United Nations, Kennedy had talked about the ominous and omnipresent sword of Damocles that everyone lives under, "hanging by the slenderest of threads, capable of being cut at any moment by accident, or miscalculation, or by madness". His Soviet counterpart Nikita Khrushchev understood this too, cautioning JFK to not tighten the "knot of war" which would eventually have to be catastrophically severed. As one consequence of the crisis, a telephone hotline was established between the two countries that would allow their leaders to efficiently communicate with each other. Kennedy followed the Peace Speech with one of the signal achievements of his presidency, the signing and ratification of the Partial Test Ban Treaty (PTBT) which banned nuclear tests in the air, underwater and in space. Sachs describes how Kennedy used all the powers of persuasion at his disposal to convince the Joint Chiefs of Staff, Republican hardliners and Southern Democrats to endorse the treaty, while at the same time striking compromises with them that would encourage underground nuclear testing. How has Kennedy's understanding of the dangers of nuclear war, his commitment to securing peace and his efforts toward nuclear disarmament played out in the fifty years after his tragic and untimely death? On one hand there is much cause for optimism. Kennedy's pessimistic prediction that in 1975 ten or twenty countries would have nuclear weapons has not come true. In fact the PTBT was followed in 1968 by the Nuclear Non-Proliferation Treaty, which for all its flaws has served as a deterrent to the formation of new nuclear states. Other treaties like SALT, START and most recently NEW START have drastically reduced the number of nuclear weapons to a fraction of what they were during the heyday of the Cold War; ironically it was Republican presidents Ronald Reagan and George H. W. Bush who must be credited with the greatest arms reductions. In addition there are several success stories of countries like South Africa, Sweden, Libya, Brazil and the former Soviet Republics giving up nuclear weapons after wisely realizing that they would be better off without them. Yet there are troubling signs that Kennedy's dream is still very much a dream. Countries like Israel and India which did not sign the NPT have acquired nuclear arsenals. North Korea is baring its nuclear teeth and Iran seems to be meandering even if not resolutely marching toward acquiring a bomb. In addition loose nuclear material, non-state actors and unstable regimes like Pakistan pose an ever-present challenge that threatens to spiral out of control; the possibility of "accident, or miscalculation, or madness" is very much still with us. There are also little signs that the United States is going to unilaterally disassemble its nuclear arsenal in spite of having the most sophisticated and powerful conventional weapons in the world, ones which can hit almost any target anywhere with massive destruction. The US did unilaterally disarm its biological weapons arsenal in the 70s, but nuclear weapons still seem to inspire myths and illusions that cannot be easily dispelled. A factor that's not much discussed but which is definitely the massive elephant in the room is spending on nuclear weapons; depending on which source you are looking at, the US spends anywhere between 20 to 50 billion dollars every year on the maintenance of its nuclear arsenal, more than what it did during the Cold War! Thousands of weapons are still deployment-ready, years after the Cold War has ended. "Every gun that is made, every warship launched, every rocket fired signifies, in the final sense, a theft from those who hunger and are not fed, those who are cold and are not clothed. This world in arms is not spending money alone. It is spending the sweat of its laborers, the genius of its scientists, the hopes of its children. The cost of one modern heavy bomber is this: a modern brick school in more than 30 cities. It is two electric power plants, each serving a town of 60,000 population. It is two fine, fully equipped hospitals. It is some fifty miles of concrete pavement. We pay for a single fighter with a half-million bushels of wheat. We pay for a single destroyer with new homes that could have housed more than 8,000 people. This is not a way of life at all, in any true sense. Under the cloud of threatening war, it is humanity hanging from a cross of iron." It is of course inconceivable to imagine a conservative politician saying this today, but more tragically it is disconcerting to find exactly the same problems that Eisenhower and Kennedy pointed out in the 50s and 60s looming over our future. In a greater sense too Kennedy's vision is facing serious challenges. Jeffrey Sachs believes that sustainable development has replaced nuclear weapons as the cardinal problem facing us today and until now the signs for sustainable development have not been very promising. When it comes to states struggling with poverty, Sachs accurately reminds us that countries like the US often "regard these nations as foreign policy irrelevancies; except when poverty leads to chaos and extremism, in which case they suddenly turn into military or terrorist threats". The usual policy toward such countries is akin to the policy of a doctor who instead of preventing a disease waits until it turns into a full-blown infection, and then delivers medication that almost kills the patient without getting rid of the root cause. Sadly for both parties in this country, drones are a much bigger priority than dams. This has to change. "There is no single, simple key to this peace; no grand or magic formula to be adopted by one or two powers. Genuine peace must be the product of many nations, the sum of many acts. It must be dynamic, not static, changing to meet the challenge of each new generation. For peace is a process -- a way of solving problems...(from the inaugural speech). All this will not be finished in the first 100 days. Nor will it be finished in the first 1,000 days, nor in the life of this administration, nor even perhaps in our lifetime on this planet. But let us begin." Indeed. We do not know how it will end, nor do we even know how it will progress, but we can begin.